Round Trip ticket to Brooklyn, NY reserved for members of the Delaware Valley Homebrew Community. Round Trip ticket to Brooklyn, NY for non-members. 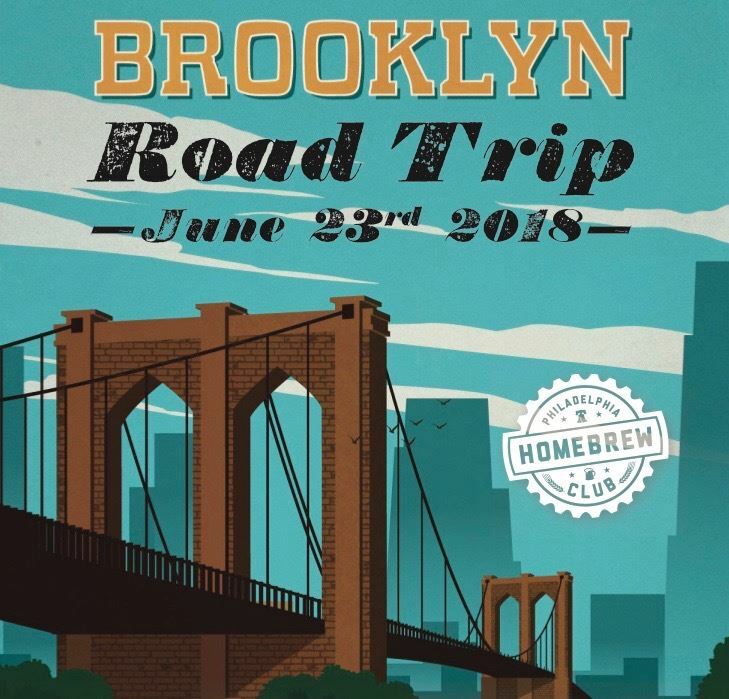 Round Trip ticket to Brooklyn, NY reserved for members of the Philadelphia Homebrew Club. The Philly Homebrew Club is renting a 56 passenger bus and filling it with all of our closest friends for a fun-filled day-long adventure to Brooklyn, NYC! We will be starting off at Other Half Brewery, then over to Folksbier for lunch, swing by Strong Rope on the way to Threes Brewing for our final destination. We will depart from Philly Homebrew Outlet on N American Street (PHO East). Boarding at 7:45AM, bus leaves at 8AM. The bus will drop us off at Other Half around 10AM and pick us up at Threes Brewing at 4:00PM. There is a bathroom on board and big comfy seats. This is an All Club event which means we will be inviting members from other clubs in the Delaware Valley Homebrew Community.